Last week our local piper at the early session at the Jack of the Wood, encouraged me to back him up on a jig and a slip jig. They are great tunes, so I spent some time researching and creating a chord arrangement to for rhythmic backing. 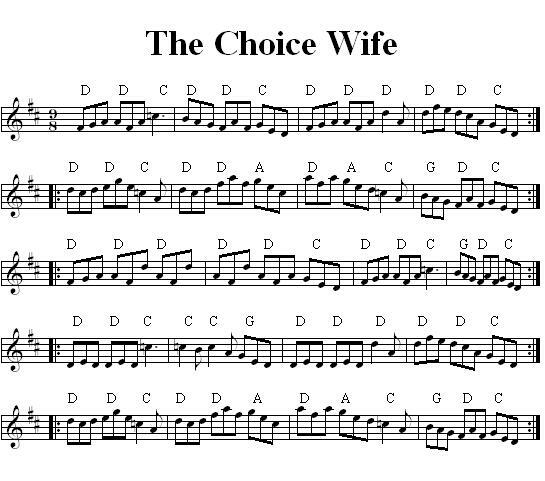 Here are the chords I found from VCP Sheet Music for “the Choice Wife”. They work nicely. Next up are some chords I’m playing around with for “Muireann’s Jig”. I feel it can still use some tweaking, but it works well enough at the moment. If you’d like to play along, use the videos below.